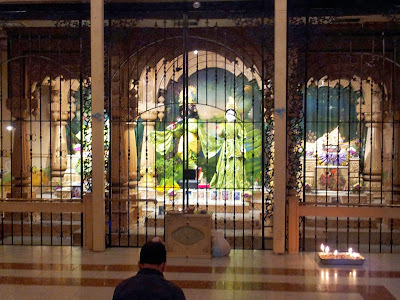 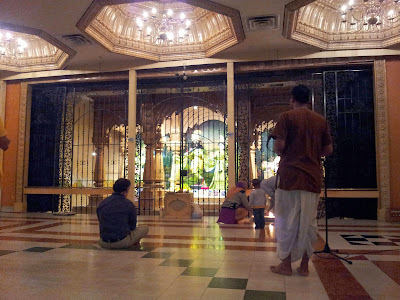 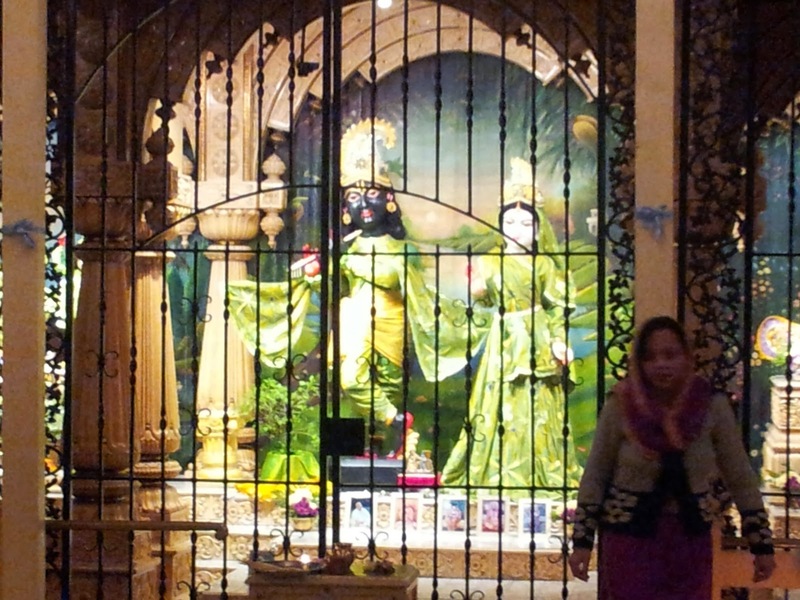 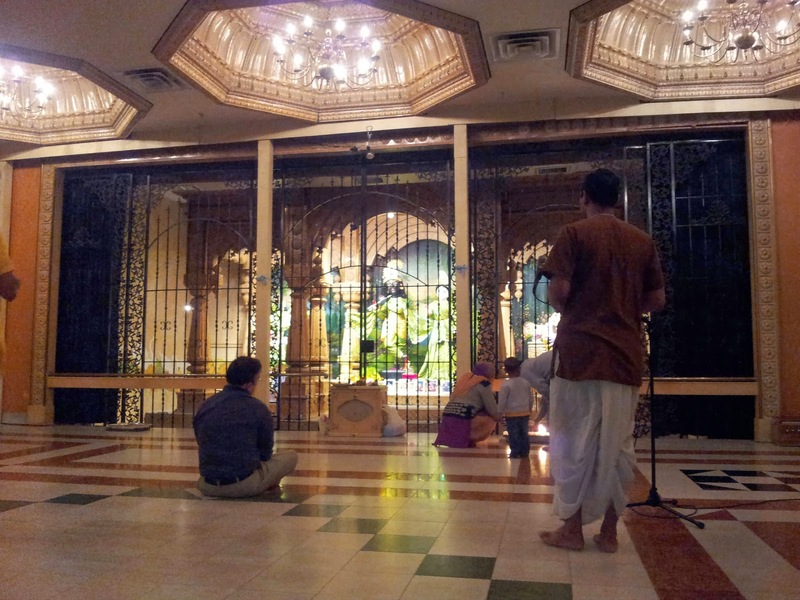 At the Houston ISKCON! 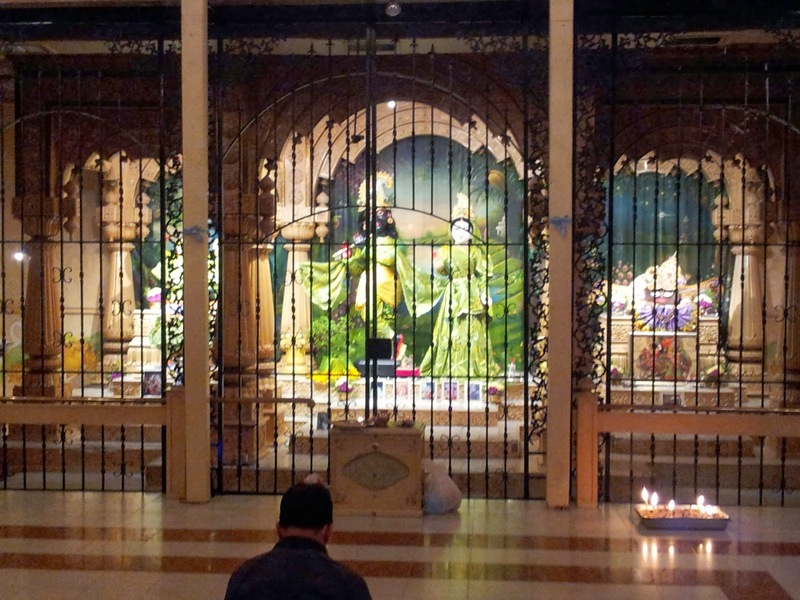 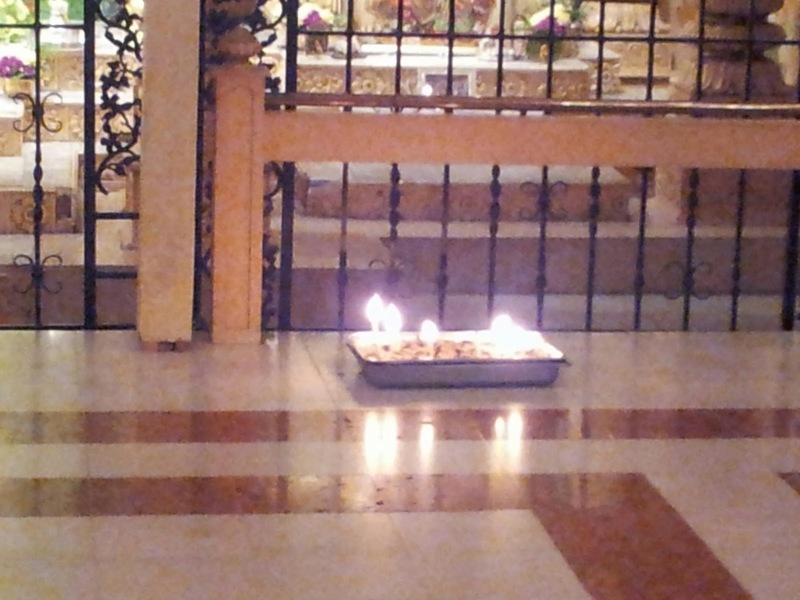 This is a special month called Kartik where devotees go to the temple more often and offer ghee lamps to Krishna. 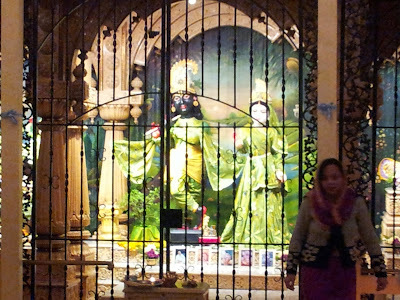 They also sing a song called Damodarastakan.